LONDON, June 4, 2018 /PRNewswire/ -- Nintex, the world's leader in intelligent process automation (IPA), is pleased to announce that Technical Evangelist Cosima Von Kries has been invited to present at Wonder Women Tech's second London International Conference on Friday, June 15, 2018. The theme of this year's conference is #WEAREINNOVATORS. Von Kries will discuss her career success as a woman in technology during an interactive panel session. Invited speakers will share personal and professional stories of empowerment and inspiration to hundreds of attendees who currently have or seek roles in science, technology, engineering, arts, math and innovation. "Cosima is a rising star in the field of technology," said Nintex VP Felix Gremlich. "She is solutions-oriented and provides valuable technical guidance to Nintex customers and partners to help them achieve their desired outcomes with intelligent process automation." Von Kries has deep knowledge of Microsoft SharePoint and Office 365 and how these systems of record interact and are enhanced by the Nintex Platform to automate, optimise and orchestrate sophisticated business processes for enterprise organizations across sectors including government, financial services, life sciences, energy, manufacturing and more. 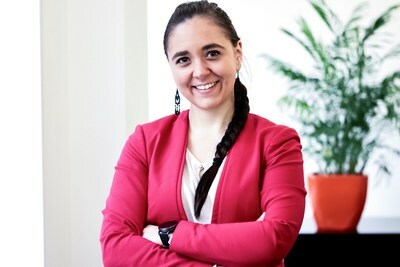 In her role as a Nintex Technical Evangelist (TE), Von Kries is committed to helping customers and partners improve operational efficiencies, quality and usability through the use of technology. Von Kries holds Bachelor of Arts degrees in information management from Fachhochschule Neu-Ulm and in business information technology from Oulu University of Applied Sciences. Nintex is the world's leader in intelligent process automation (IPA) with more than 7,500 enterprise clients and 1,700 partners in 90 countries who have built and published millions of workflow applications. With its unmatched breadth of capability and platform support delivered by unique architectural capabilities, Nintex empowers the line of business and IT departments to quickly automate, orchestrate and optimise hundreds of manual processes to progress on the journey to digital transformation. Nintex Workflow Cloud®, the company's cloud platform, connects with all content repositories, systems of record, and people to consistently fuel successful business outcomes. Visit www.nintex.com to learn more. Product or service names mentioned herein may be the trademarks of their respective owners.